Exposure to lead can cause high blood pressure, nervous system & brain damage, learning & behavior issues, reproductive problems and many more serious health issues. One of the most common causes of lead poisoning is inhalation of lead dust generated from surfaces with lead-based paints when they are disturbed during repairs or demolitions. Puget Sound Abatement offers lead abatement and lead removal services to check lead contamination in homes, commercial buildings or industrial facilities undergoing renovation. We are a licensed lead abatement contractor that has what it takes to deliver flawless lead paint abatement services. We understand the enormity of lead hazards and realize the importance of tackling them with correct lead paint abatement techniques. 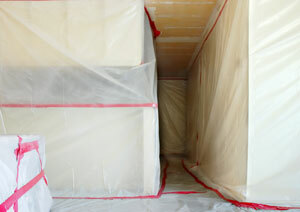 Our technicians look at controlling lead hazards not with temporary fixes, but permanent lead paint abatement solutions. 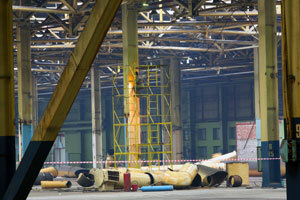 We provide customized lead paint abatement services. Depending on the severity of the situation, we perform lead paint abatement by removing, encapsulating or enclosing the concerned structure/surface. Anyone hiring our lead abatement services stands to benefit significantly from our extensive experience in the lead paint abatement and lead removal industry. As seasoned lead removal and lead abatement contractors, we promote ethical business practices, quality workmanship and secure work environment. Safety and thoroughness are our top priorities in every lead removal and lead paint abatement project. To ensure incident-free lead removal and lead paint abatement, we put only duly trained technicians to work. We also see to it that our lead removal experts use appropriate protective gear and top-of-the-line technologies. 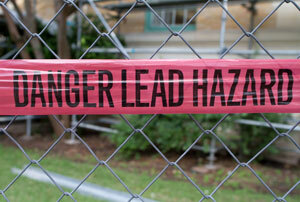 Moreover, we make sure that all our lead removal and lead paint abatement work complies with the local regulations. Hire proven experts to meet your lead abatement and lead removal needs. Call Puget Sound Abatement at (425) 336-0611 for seamless lead paint abatement services.